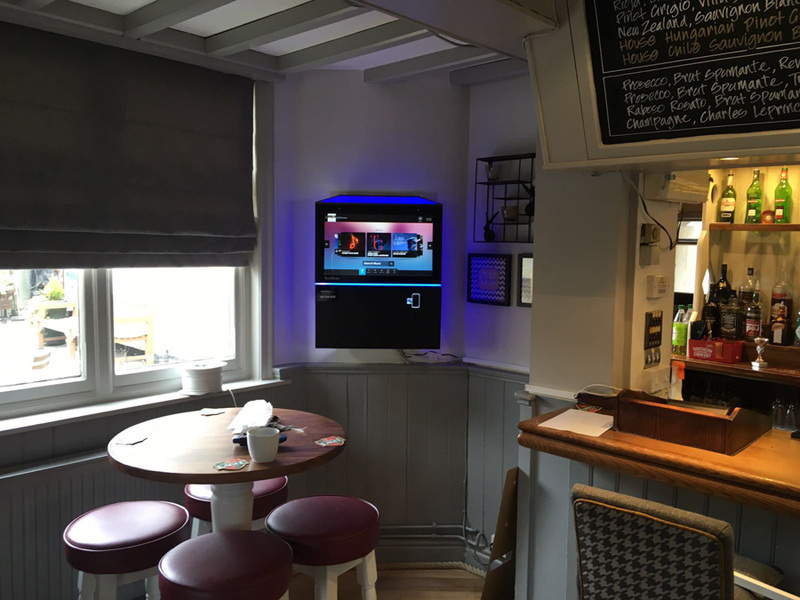 After undergoing a major refurbishment, the Chequers Inn in Hinckley, Leicestershire decided to upgrade their jukebox to a TouchTunes Playdium digital jukebox. This was a good choice for them as not only did it fit in well with the contemporary, yet traditional, interior, it also works as a background music system, with good content. Perfect Jukebox Deals for Pubs! With our jukebox deals, you never pay a penny at any time. Installation is free and we share the revenue. There are no fixed rental costs and we share the profits. We can provide you with the very latest online jukebox at no cost. Our Playdium jukebox is a slim, wall-mounted machine, with a high definition touchscreen that works in a similar way to a smartphone or tablet. You swipe across the screen to perform actions. It feels somewhat effortless to use. It looks great and you can change the backlighting to suit your venue! This gives the jukebox some presence without being too over the top. Background music can be easily changed on the Playdium jukebox, via a wireless remote control, allowing bar management to change the ambience to suit the current mood. This is perfect for creating a laid back vibe during dining periods by playing classic tracks. Then, when it comes to the weekend nights, they can up the tempo and select the genre! Our Most Fool-Proof Jukebox Yet! What sets this jukebox apart from other jukeboxes is how easy it is to use. Simply type in the name of the song or artist and the jukebox will find your music. It will also pick up on any misspelling. New music is updated daily with the latest chart releases and album titles. This really helps increase cash-box levels and maintains interest. As the jukebox is online customers can access tracks from a database made up of millions of tracks. It would be almost impossible not to find the music you want, whatever your taste. You can also browse through popular genres such as rock, indie, pop, classical and Irish music. The jukebox also recommends similar or related artists. 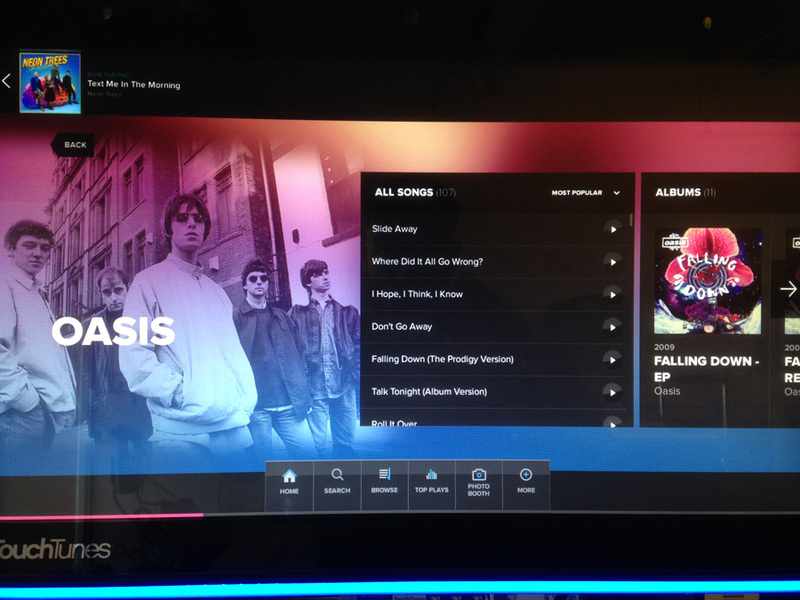 For example, if you were searching for Oasis the jukebox would also suggest Noel Gallagher and Beady Eye. This really draws the customer in as often our minds go blank when put in front of a jukebox, especially when you’ve had a few drinks! The Playdium Jukebox also has a PhotoBooth feature. Built-in camera with a wide-angle lens and automatic flash allows customers to capture the moment. Perfect for fun nights out – group photos, photobombs and selfies. They can even share photos with friends online! The Chequers Inn decided to place the jukebox next to the bar so that it’s within easy access for the customers. It fits in perfectly! Really adding something special to the interior of the venue. 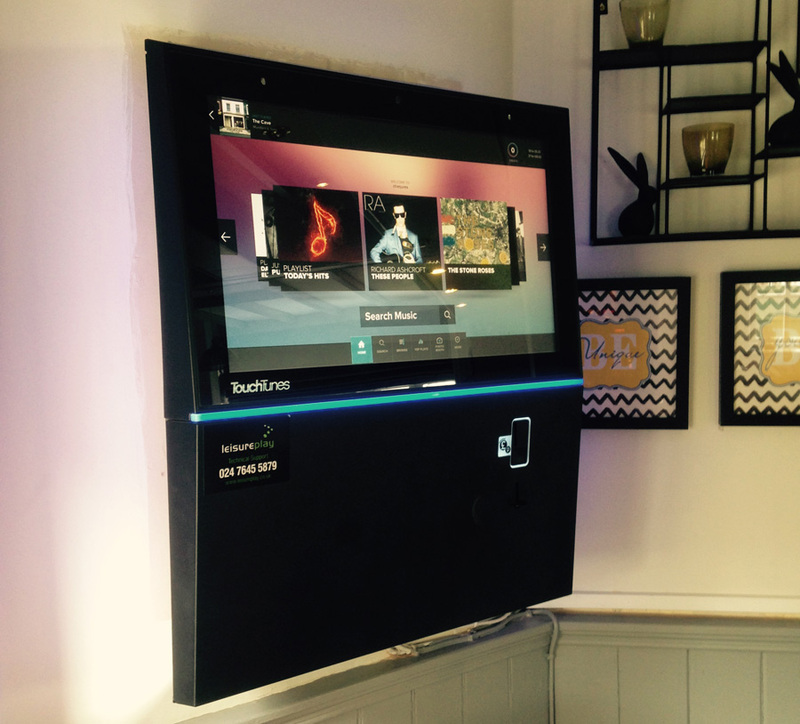 The customers at the Chequers love their music and the Playdium has millions of line tracks including the very latest chart releases and classic album tracks.